When it comes to team building, Boston Bruins’ general manager Don Sweeney has done as good as job as anyone at creating an excellent lineup with an impressive pipeline still set to churn out talent over the next few years. From draft picks to smart decisions like the re-signing of Brad Marchand, David Pastrnak and Kevan Miller to team-friendly contracts, Sweeney has been a positive presence for the team since taking over as the general manager. That doesn’t mean he is without fault, though, as for every few good decisions he’s made, there have been some glaring mistakes that have proved costly for the Bruins. 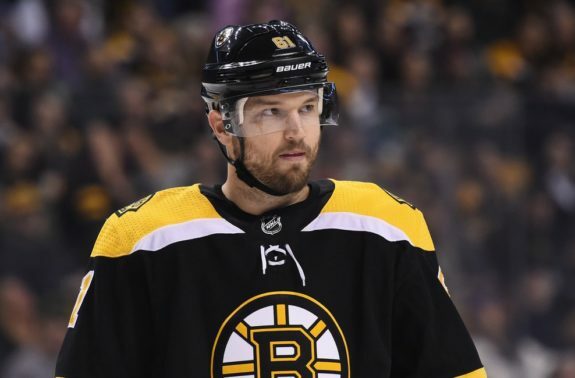 Trading a third-round pick to acquire Zac Rinaldo, signing Matt Beleskey and most notably signing David Backes have served as the flag-bearers for these poor decisions. While Rinaldo and Beleskey are out of the Bruins’ hair (though the Bruins will still be paying $1.9 million of Beleskey’s contract over the next two seasons), the contract to Backes will remain on the books for the 2018-19, 2019-20 and 2020-21 seasons at a whopping $6 million per season. That’s too much for a player who will primarily be playing in a third-line role or lower on this team. Though signing Backes wasn’t necessarily a mistake, the term in which the team elected to give him was ultimately their downfall. Even if Sweeney determined that Backes was a must-sign player and worth the money for the first few years of his contract, the short-sighted nature of such a move has created so much trouble for the Bruins near future that the team will have to proactively fix the situation before any major negative repercussions take place. 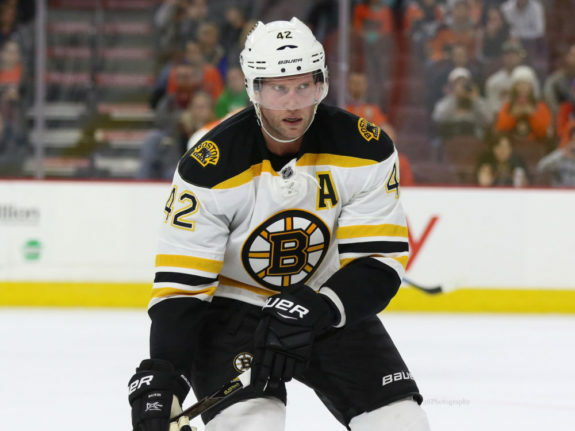 Why is Getting Rid of Backes’ Contract so Important? While the Bruins free agent situation in 2018 is quite lax with the team only having to make decisions on bottom-six and bottom-pairing players, the 2019 offseason will be something different entirely. This offseason, the Bruins will have to figure out contracts for Sean Kuraly, Matt Grzelcyk and Anton Khuodbin while making decisions on Riley Nash, Rick Nash, Austin Czarnik, Nick Holden, Tim Schaller and Tommy Wingels. The situation in 2019 isn’t quite as cut and dry, however, as a plethora of young players will be looking for new deals. In 2019, the Bruins will have to give Charlie McAvoy, Brandon Carlo, Ryan Donato, Danton Heinen, Noel Acciari, Jakob Forsbacka Karlsson, Ryan Fitzgerald and Peter Cehlarik new contracts. Fast-forwarding even just one year and the team will then also have to figure out the contracts of Jake DeBrusk, Anders Bjork, Torey Krug, Kevan Miller, Zach Senyshyn, Jakub Zboril, Jeremy Lauzon and others. While some of those names may not have made a contribution in the NHL yet, there’s a distinct possibility that they could by the time their contracts expire. The fact of the matter is that the Bruins simply cannot afford to have Backes on their books for another three seasons when they have so many key contracts to sign. It’s unfortunate given Backes’ role on the team as a leader and as a ferocious competitor but his play simply doesn’t justify the money at this point in his career. With declining goal-totals in each of the last five seasons (and only six goals in 48 games in the lockout-shortened 2012-13 season), and a declining point total in each of the last four seasons, Backes’ production has steadily declined with each passing season. He did score 17 goals in 2016-17 with the Bruins and another 14 goals in only 57 games in 2017-18, his place on the roster and production cannot be overestimated. Especially given the fact that he’s noticeably lost a step defensively after being among the league’s best in his prime. So let’s take a look at how the Bruins can handle this situation. What this means is that the Bruins would be saving just over $2 million in 2018-19 and 2020-21, $222,222 in 2019-20 and they’d be paying an additional $777,778 that wouldn’t have been on the books in 2021-22, 2022-23 and 2023-24. In this scenario, the Bruins would be saving $333,333 dollars in 2019-20 and $2.33 million in 2020-21 while adding $666,667 to 2021-22 and 2022-23 that wouldn’t have been there otherwise. Neither option is great as the Bruins biggest need will be cap flexibility in the 2019 offseason and in both options, they’ll receive less than $350,000 in relief for that upcoming season. If the Bruins decide that a buyout isn’t the right option to handle the Backes contract, however, then there is still an option that could take place this summer or next which could free up Backes’ contract potentially in its entirety. That option may not be a popular one, though, as it would involve the Bruins trading one of their young assets to a team to convince them to also take on the contract of Backes. In a perfect world, the Bruins wouldn’t have signed Backes to a five-year contract worth $30 million at 32 years old. Unfortunately, the world isn’t perfect and the team will now have to deal with the consequences of this decision for years to come. 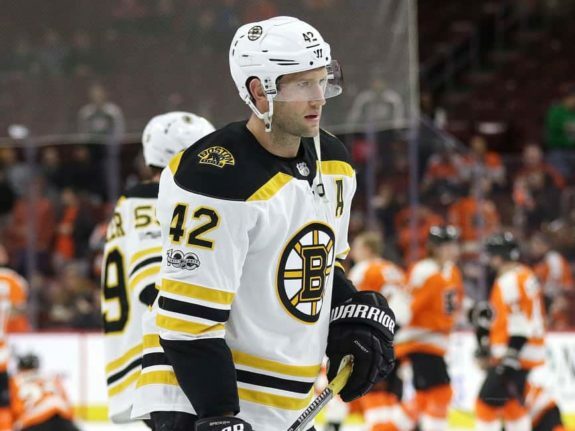 While Backes isn’t a bad player to have on a roster or in a community, his contract is simply an albatross that needs to be dealt with swiftly and if the Bruins wasn’t to remove it from their books in one fell swoop, they may be forced to part ways with an asset they’d rather keep. When the Bruins traded to acquire Rick Nash, the cost of the deal looked significantly higher than some would have liked. Trading Ryan Spooner, a first-round pick and a highly-touted prospect in Ryan Lindgren to acquire a player for a few months seemed like a fleecing by the Rangers on paper. When you consider that the Bruins got rid of half of Beleskey’s contract in the process, however, the bigger picture becomes a little more clear. It’s been seen in the past as well with the Bruins trading away Marc Savard’s contract with Reilly Smith to acquire Jimmy Hayes, the Chicago Blackhawks trading Teuvo Teravainen to convince the Carolina Hurricanes to take on the contract of Bryan Bickell and a slew of other such deals that came out costing a lot to ultimately only free up some cap space. The Bruins have a lot of highly-ranked prospects in their system that have the potential to be impact players at the NHL level who could be of intrigue to other teams around the NHL. Fortunately for the Bruins, Backes still has some fuel left in the tank and can be a contributor for another team should they acquire him. While that shouldn’t affect the cost too much, it could make a deal a little bit easier for the Bruins to swing. Speculating on which prospect could be on the move seems pointless so it won’t be done. What’s clear is that the Bruins have a lot of options to play with and if they can find a team to bite on a deal for a prospect that they don’t hold as highly as others in their system (for example, a Urho Vaakanainen-type player who appears to be the gold-standard for prospects in the Bruins system right now and who just signed his entry-level contract). If the Bruins can find a deal that makes sense for them financially and from a prospect standpoint, it’s hard to imagine they’d pass that up given some of the cap issues they could have in a few years due to their talented young players looking to get paid sooner than later. While the need for a trade isn’t necessarily pressing this offseason, it should be more essential next season and beyond- fortunately for the team as Backes as a no-movement clause in his deal this season and only a modified no-trade clause next season. 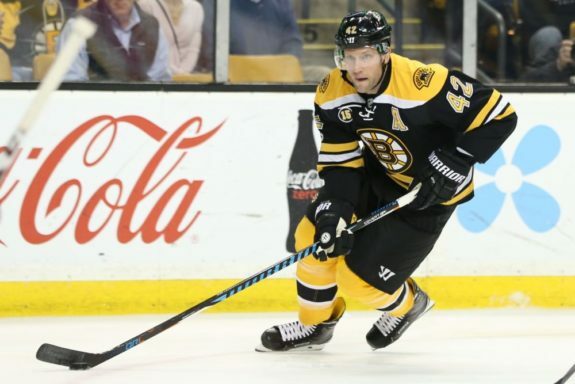 Whether the Bruins decide to buy-out or trade Backes or they elect to keep him for now, the fact of the matter is his contract was a mistake and the cost of removing it from the books in one way or another will be worth it for the team’s long-term success.